en suite bathroom. A parking space is also included in the price. 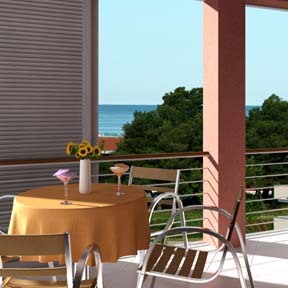 Large terraces and balconies, some having a sea view. TV/satellite connections will be installed in each apartment. Wheelchair access on the ground floor on each of the buildings. Storage space for each apartment is located in the basement. Walking distance to the sea. also given with all these apartments. - all on your door step. (See our for more information on Novigrad).